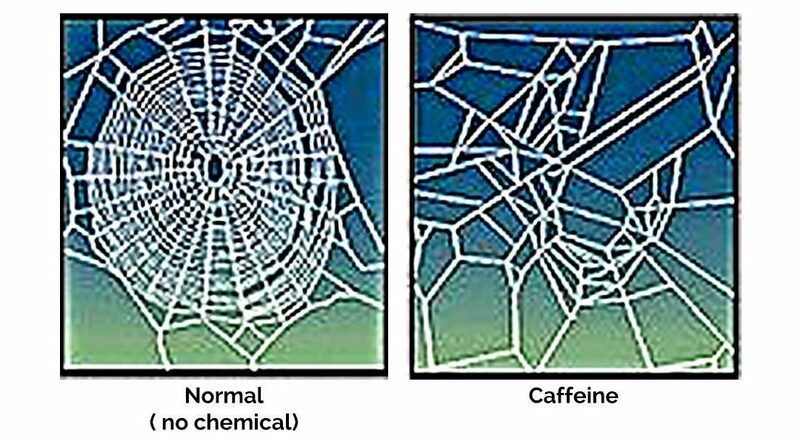 A pharmacologist tested spiders using a range of psychoactive drugs, including caffeine, and found that the drugs affect the size and shape of the web. The photographed webs were woven by the same spider before and after drugging. Learn more by visiting this page.